The ultimate goal of change management is to drive organizational results and outcomes by engaging employees and inspiring their adoption of a new way of working. Whether it is a process, system, job role or organizational structure change (or all of the above), a project is only successful if individual employees change their daily behaviors and start doing their jobs in a new way. This is the essence of change management. The table below illustrates what we would like to hear each of these groups say if they are actively engaged in managing change. Conversely, it also identifies what you may hear from each role if their responsibility is not clearly defined or understood (either by the player or by the organization). A growing body of data shows a strong correlation between the success of a change initiative and how well the people side was managed. Change projects with excellent change management are six times more likely to meet objectives and outcomes. 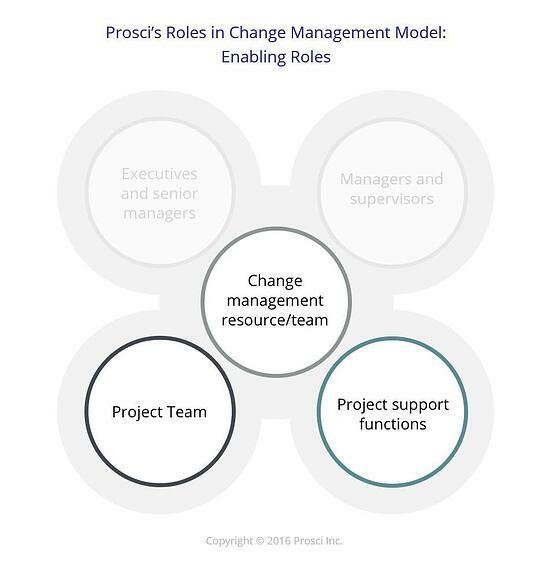 Having dedicated resources for change management was the third overall greatest contributor to success in Prosci’s Best Practices in Change Management - 2018 Edition. Dedicated change management resources provide focus and keep track of change management activities. They act as a point of responsibility and accountability. When budgets and schedules are squeezed, change management activities are easily pushed to the bottom of the priority list if there are no dedicated resources. 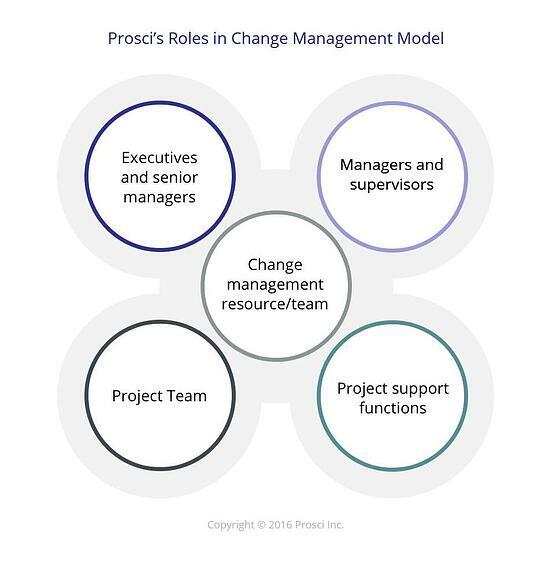 Apply a structured change management methodology – Instead of operating in an ad hoc manner, the dedicated change management resources approach change management with purpose and intent (read more about Prosci's methodology). Formulate strategy – They evaluate how big a change is and who will be impacted to develop a customized and scaled strategy for managing the people side of the initiative. Develop plans – Based on the strategy work, the team creates a tailored set of plans for moving people forward, including a communication plan, a sponsor roadmap, a coaching plan, a training plan and a resistance management plan (read more about the five plans in Prosci's methodology). Support other roles – The change management resource is the coach and the go-to person responsible for enabling success with the other roles vital to change management. In the Best Practices in Change Management - 2018 Edition, the active and visible participation of the senior leader was cited as the first contributor to change management success. In fact, the role of the senior leader has been the first contributor to success since Prosci began researching change management in 1998. Employees want to see and hear the executive's commitment to the change. The authority they provide carries over to other change management roles. Effective sponsorship is a predictor of success or failure on the project. Participate actively and visibly throughout the project – There are three key words here: active, visible and throughout. Sponsors must be present and seen by employees from start to finish. Build a coalition of sponsorship and manage resistance – The sponsor coalition describes the group of leaders and influencers who will give the change credibility and priority back to their own departments, divisions, and workgroups. The primary sponsor must build and maintain a healthy sponsorship coalition. Communicate directly with employees – Employees want to hear the business reasons for the change from someone at the top. Read more about the role of executives. Managers and supervisors are close to the action. It is their teams who must change how they do their jobs for the change to be successful. Managers are the preferred sender of change messages about the personal impact of a change on their team members. In any organization there are two types of change constantly happening: top-down initiatives launched by senior leaders (macro-changes), and responses to daily demands from customers and suppliers (micro-changes). Managers and supervisors support their employees through both types of changes. The attitude and actions of a manager will show up in his or her people, whether the attitude is one of support or one of opposition. Communicator – Employees prefer to hear messages about how the change directly impacts them and their team from the person they report to. Advocate – If the manager opposes the change, chances are that his or her people will as well. In many cases, the opposite is also true. Making sure a manager or supervisor is on board with a change and advocating for it is the first step the change management team must take before expecting managers and supervisors to fulfill their role in change management. Coach – Helping employees through their own personal transitions is the essence of change coaching by middle managers and supervisors. Liaison – The role of liaison involves interacting with the project team, taking direction and providing feedback. Resistance manager – Research shows that the best intervention to mitigate resistance comes from the employee's immediate supervisor. Read more about the role of middle managers and supervisors. The project team is tasked with managing the technical side of the change. In the end, they are the people who design how things will be done differently than they are today. Without direction and management, the technical side of the project will not move forward. The project team also plays a role in ensuring that change management is part of the project by providing the appropriate resources (budget and personnel) and time. Change management will be most effective when it is pulled in at the launch of the project. Design the actual change – The project team creates the solution that ultimately impacts how people do their jobs. 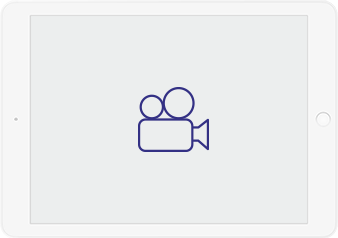 Manage the ‘technical side’ – With tools like the charter, business case, schedule, resources, work breakdown structure, budget, etc. the project team moves the technical side of the change forward. Engage with the change management team/resource – By working with the change management resource or team, the project team ensures that the technical side and the people side of the change progress in unison. Integrate change management plans into the project plan – By beginning change management at the start of the project and weaving the change management strategy and plans into the technical-side plans, the project team creates one seamless project plan. These complementary functions enhance the execution of change management activities with interdisciplinary best practices and help maintain strategic alignment into the broader organizational context. In some cases, staff from these project support functions might serve as the change management resource role. Incorporate their experience and expertise – Project support functions bring experience on past changes that can be applied to the current change. Contribute knowledge – Each of these groups have specialized knowledge that can help the project team and the change management resource or team. Offer tools – Each of the areas brings specific tools that support change management activities. Support roles need to ensure their tools are applied in alignment with change management best practices. In the sections above, we outlined the key roles of the different actors involved in making changes successful in any organization. Of the roles presented, two have direct contact with frontline employees impacted by the change while three of the roles do more of their work behind the scenes. Why are these two roles the only employee-facing roles in the change management ecosystem? Because these are the people that employees want to hear from. Change managers, project teams and project support functions facilitate change. These three roles in change management formulate and coordinate the plans that are executed by the employee-facing roles within the business. They are the producers, directors and props teams who operate off-stage to make the production successful. Why are these three roles typically not employee-facing in times of change? Because employees don't know who they are and don't really care what they have to say. This is one of the most important takeaways from the discussion about roles. Change management work must ultimately come to life through influencing and coordinating many different actors. For change managers who may be resourced from members of a project team, HR or OD consultants, or from within a specialized change management group, most of the work is carried out by others. Change managers play the role of enablers. They create easy-to-implement plans and shape the success of the executives, senior leaders and managers throughout the organization to implement them. Be sure to answer "What's in it for me?" and connect change management to what they care about, such as meeting financial objectives (for senior leaders) or delivering a project on time, on budget and on target to meet objectives (for project teams). For many of the different actors, applying change management is a new job requirement. You will need to help each of them build their own personal competency for leading change. Whether it is a project team you are working with to integrate change management into the project plan, the division president you are asking to fulfill the role of sponsor or a frontline supervisor you are asking to coach his or her direct reports, you need to be there to provide support and answer questions. You are now the coach for the agents of change throughout your organization. 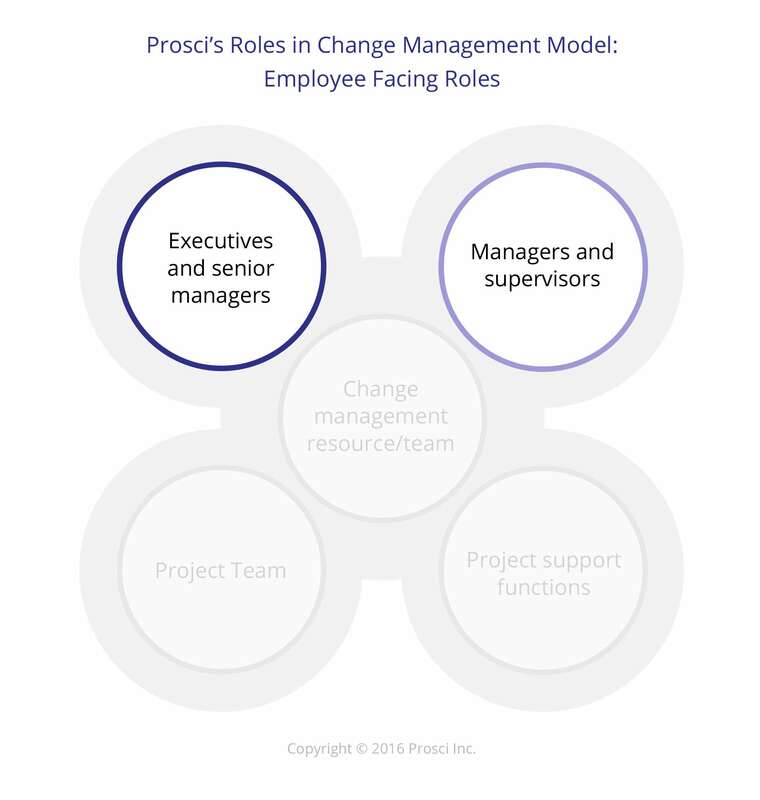 The Prosci ADKAR Model of individual change provides a framework for engaging players who need to fulfill the other roles in change management. The ADKAR Model describes the five key building blocks an individual needs to make a change successfully. You cannot simply send someone to change management training or send them a memo and expect them to fulfill their role. They will first need awareness of why it is important and a desire to fulfill their role. This conversation may sound very different for the CEO than it would for a frontline supervisor. Draw on best practices and research to demonstrate the specific actions you need and the biggest mistakes that are typically made by these groups. In the end, you must connect effectively managing change with what the individual cares about. Employees can successfully make their own personal transition when each of these actors fulfills their role in the context of a holistic, planned change management approach. And it is through the collective impact of successful individual transitions that the organization achieves its change objectives and realizes the enriched future state its strategic leaders envisioned. Implementing effective change requires involvement from many people in the organization. Learn Prosci’s role-based, research-derived approach to delivering change results and outcomes by catalyzing individual adoption and usage of change.